This chapter reviews legal developments in regional economic integration in North America, including Central America and the Caribbean, by examining recent dispute resolution decisions under international economic agreements in the region. The chapter finds that these recent decisions represent a modest body of case law. The agreements providing for regional integration in North America are intergovernmental as opposed to supranational, and the region has no centralized or unified adjudicatory body analogous to the European Court of Justice. The dispute resolution processes are used sparingly, resulting in a small number of decided cases, most of which are investment disputes addressed in investor-state arbitrations. Most of the recent decisions make sound contributions to international economic law, and they belie the stereotype that investor-state arbitrations tend to be biased in favor of business interests. 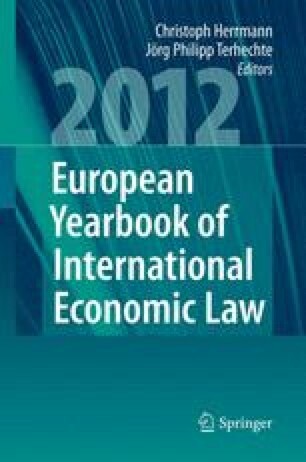 But some decisions do not go as far as might be hoped in promoting stability and predictability in the law, the classic goal for dispute resolution in international economic institutions. These disappointing decisions are a minority of the total. They suffer from questionable reasoning or from inconsistency with other decisions on identical issues. Other decisions, while apparently correct under existing law, reveal gaps in the availability of dispute resolution in the regional agreements. The author wishes to express his appreciation to Professor Claire R. Kelly for her comments on an earlier draft.